Olwen documented her journey and time in the Peace Country in two scrapbooks, containing approximately 500 drawings and paintings. 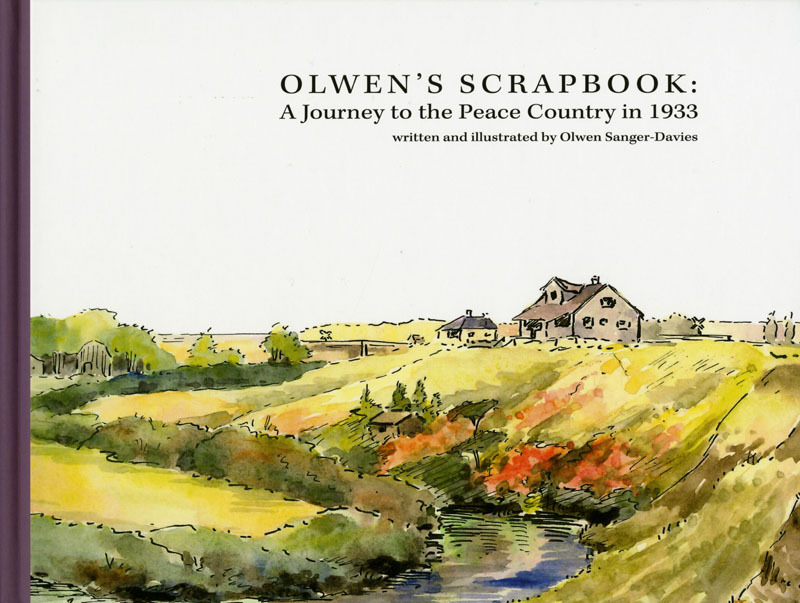 Published by the South Peace Regional Archives, Olwen’s Scrapbook captures her story in Olwen’s own words and illustrations. It is a nostalgic, educational, and artistic gift. Olwen’s Scrapbook: A Journey to the Peace Country in 1933 can be purchased from the South Peace Regional Archives for $40.00 + GST. Cash and cheques are accepted. Limited copies are available.